Just a quickie. I found this site via the S216 tutor group forum, and think it’s fabulous. Images of clouds from space, looking like you’ve never seen them before. Splendid stuff. Get out there and get stuff done! Build your dreams. Get out there and grab life by the throat. It’s nearly summer, and we live on a staggeringly beautiful planet, surrounded by incredible people. Then get out there and LIVE IT. What a lot of hot air. Well that was a resounding disappointment. I hate to begin a post on such a negative note, but frankly, everything is so shrouded in grey cloud at the moment, it was almost inevitable. I’ve just finished Block 1: Air. Never has such an interesting topic been made so dull, by so few. It was written by people whose skill in communication is limited to “dry and dusty”. I’ve had teachers like that in my time, and it’s thoroughly depressing. Honestly – I know I’m a massive geek – but it’s global weather systems. It’s not only fascinating, but useful to us all – knowing what the weather is going to do from one day to the next is handy. And I now understand why predicting short-term weather is so difficult. Long-term weather: not so much. The basics are relatively simple – it’s just beginners’ physics. The wind blows across a horizontal pressure gradient, from high to low pressure. The fact that the Earth spins on a tilted axis affects temperatures and wind directions profoundly. Seasons are rather groovy. I don’t really see why the book needed to preface many of its explanations with “imagine an Earth that does not rotate”. Why? Why would I do that? The Earth does rotate. Don’t go confusing things by explaining something that is irrelevant. Particularly when the concept of the Coriolis Effect is not difficult to grasp. Anyway. The aspect of Air that i found most interesting was the El Niño Southern Oscillation (ENSO). El Niño is Spanish for “little boy”, and is so called because the event occurs every year around Christmas time. The name relates specifically to the birth of Jesus. At the end of each year, a warm current invades the coastal waters off Peru and Ecuador, warming the sea for a few weeks before the cold currents return. But once or twice a decade, a much stronger warming effect occurs, which has far-reaching consequences for far-flung places. It lasts for several months and can lead to very severe flooding in places that do not normally receive a lot of rainfall – the normally arid coastal regions of Peru and Ecuador. It is linked to a similar warming across the central and eastern equatorial Pacific Ocean, as well as a link between the warming and a large-scale, pan-tropical-Pacific variation in the mean sea-level pressure. The high pressure over the tropical Pacific, and the low over Australia and much of Indonesia, can change gradually, with the high weakening (decreasing in pressure) and the low filling (increasing in pressure). The horizontal pressure gradient decreases dramatically, causing the Trade Winds to weaken or even reverse in direction. This, in turn, causes the warm water to migrate slowly eastwards across the Pacific – and this patch of anomalously warm water is followed by cumulonimbus clouds formed by the surface heating. The clouds bring torrential rain to Pacific island groups that normally don’t get that wet. The clouds are extremely tall, pushing a lot of heat into the upper troposphere, which strengthens the jet streams and extends them eastwards. Which is how El Niño can have such dramatic effects far outside its usual arena. Although the event is not predictable in the sense that it occurs every two to seven years, there is plenty of warning that it will occur. Our understanding of how this works enables experts to put plans in place to deal with unusual weather, lessening the impact of droughts in some places and floods in others. El Niño was one of the few sections of Air that was reasonably well explained. Such a shame that the rest of the book was overcomplicated, self-indulgent rambling. Speaking of self-indulgent rambling, I really hope that the rest of the course improves. It’s going to be extremely hard going if not. All this was compounded by the fact that I only got 75% for TMA01. This was partly due to some silly and careless errors by me, and partly because the Open University is continuing its policy of cloudy and impenetrable question styles. I’m going to have to pull my socks up if I want a distinction. I have a feeling it’s going to be considerably more difficult than S104. Positive thinking will return. I’m sure of it. 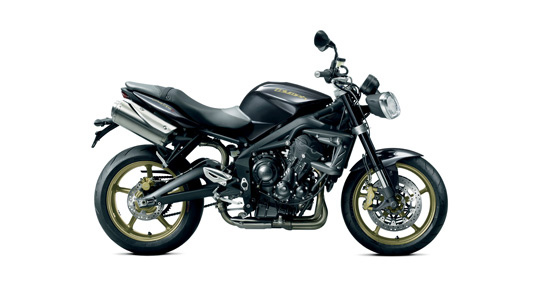 It’ll start on Friday lunchtime when I test ride the 2012 Triumph Street Triple. Oh, did I mention that I’m buying a brand new motorbike? It’ll help, honestly. Because four wheels move the body, but two wheels move the soul.